Oval Sterling Silver statement earrings. Handmade in my Edinburgh studio from Sterling Silver each pair are unique. Made From: Sterling Silver. The inside of the silver oval has been oxidised for a two tone look. 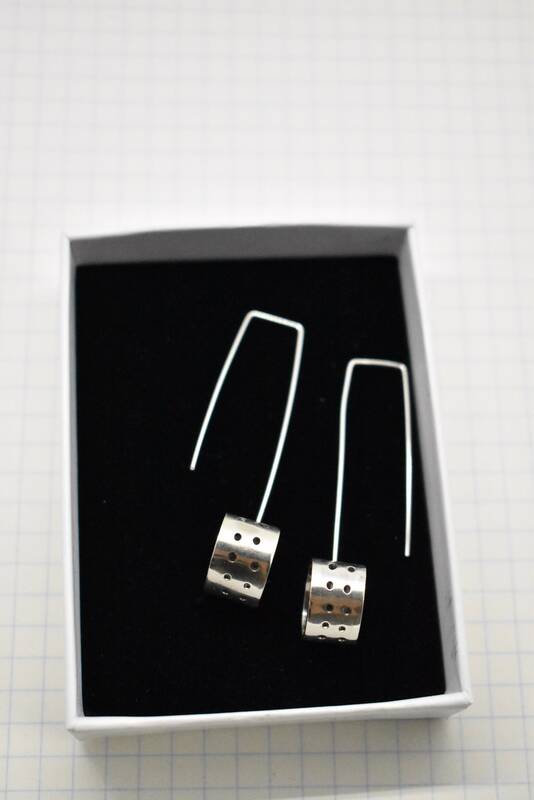 Sterling Silver Square stud earrings, handcrafted in my Edinburgh Studio. 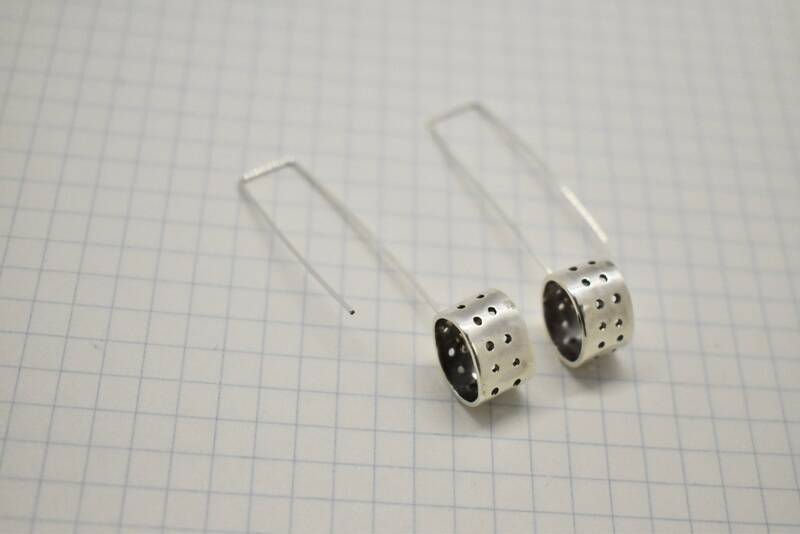 These earrings come gift wrapped and with a free polishing cloth to keep them shiny and care for them over time. 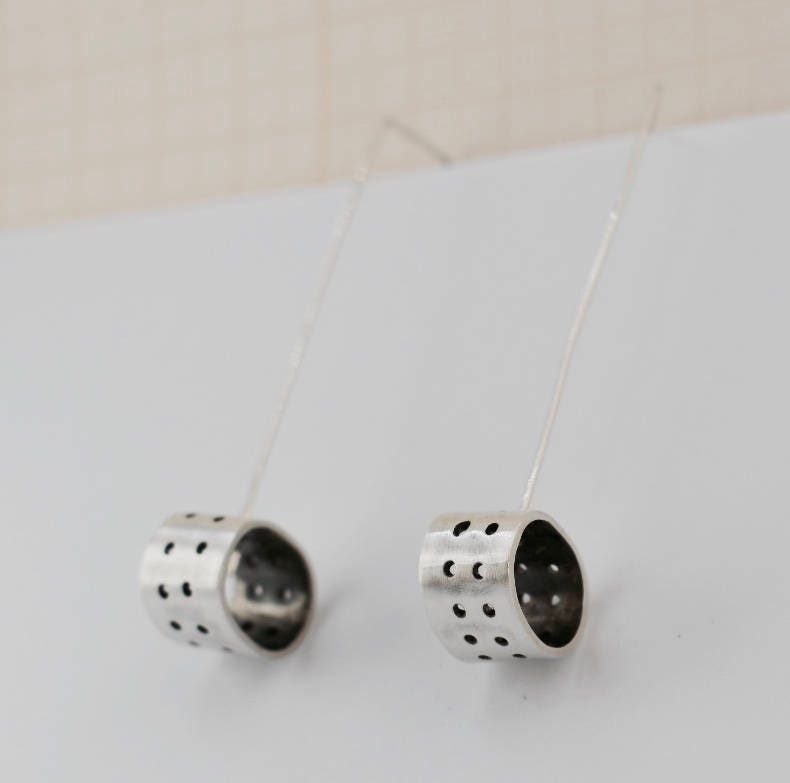 Sterling silver statement earrings. Architectural, sculptural, minimal, unique, handmade, artisan earrings. Birthday gift, gift for her.